The drought has discontented the bees. Soil dries into sand; honeycomb stiffens into wax. But Cynthia knows how to breathe life back into her farm: offer it as an artists' colony with free room, board, and "life experience" in exchange for backbreaking labor. Silvia, a wide-eyed graduate and would-be poet, and Ibrahim, a painter distracted by constant inspiration, are drawn to Cynthia's offer, and soon, to each other. But something lies beneath the surface. The Edenic farm is plagued by events that strike Silvia as ominous: taps run red, scalps itch with lice, frogs swarm the pond. One by one, the other residents leave. As summer tenses into autumn, Cynthia's shadowed past is revealed and Silvia becomes increasingly paralyzed by doubt. 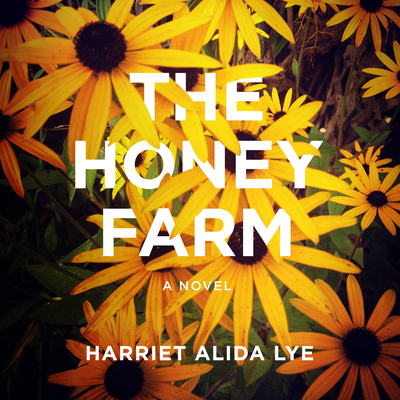 Building to a shocking conclusion, The Honey Farm announces the arrival of a bold new voice and offers a thrilling portrait of creation and possession in the natural world.